Since we don‘t have much time to prepare food, we are all looking for the recipes that are quick and easy to make. If you want your food to be not only delicious, but healthy, too, this recipe is perfect for your snack or a dessert. 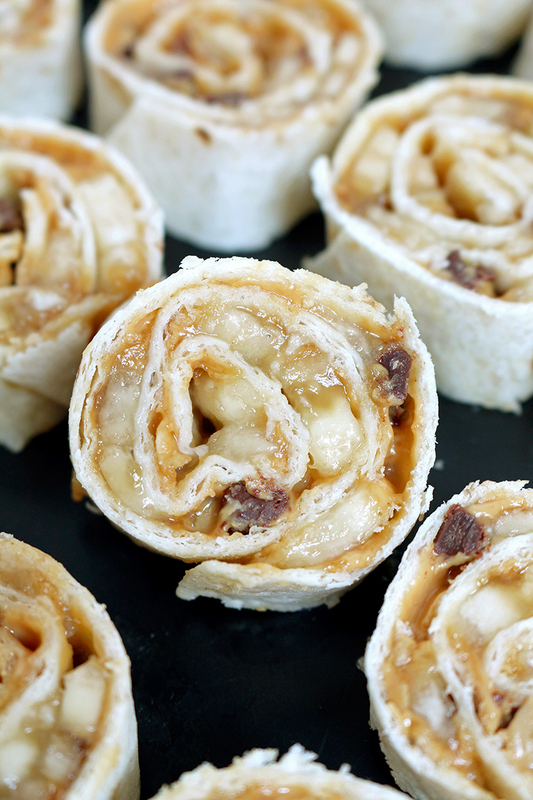 6 ingredients + 5 minutes of your time = Chocolate Chip Peanut Butter Banana Roll Ups. 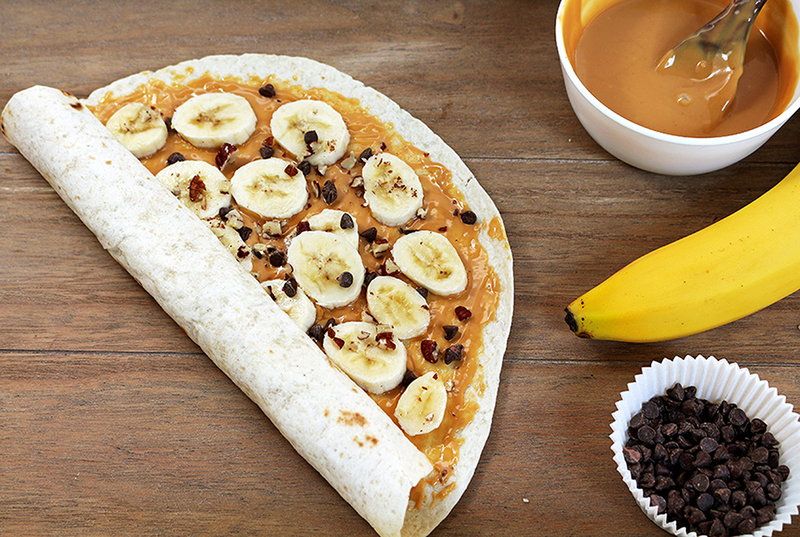 What do You need to Make this Chocolate Chip Peanut Buttet Banana Roll Up? 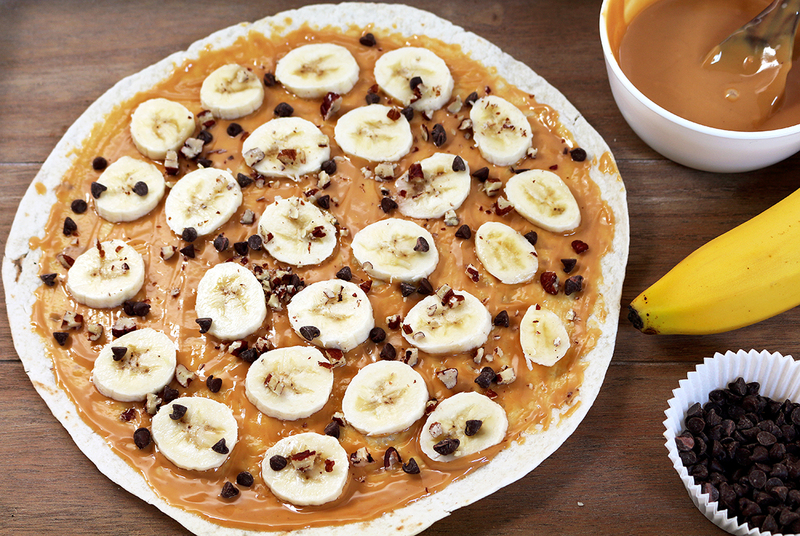 I love banana and peanut butter combination, and with chocolate chips and crunchy pecans, the taste is even better. 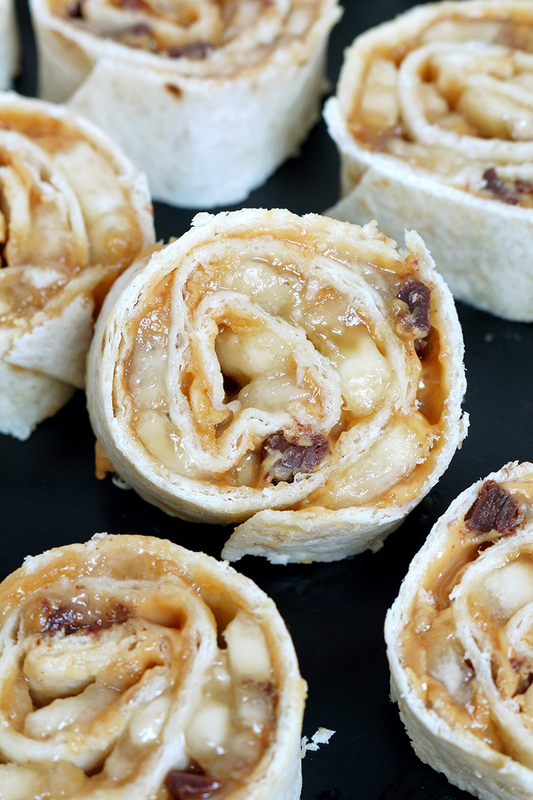 Add honey to sweeten, put everything on tortilla, roll it up and slice. Yummy. It tastes just right. You can add an ingredient you like and make your own perfect combination. 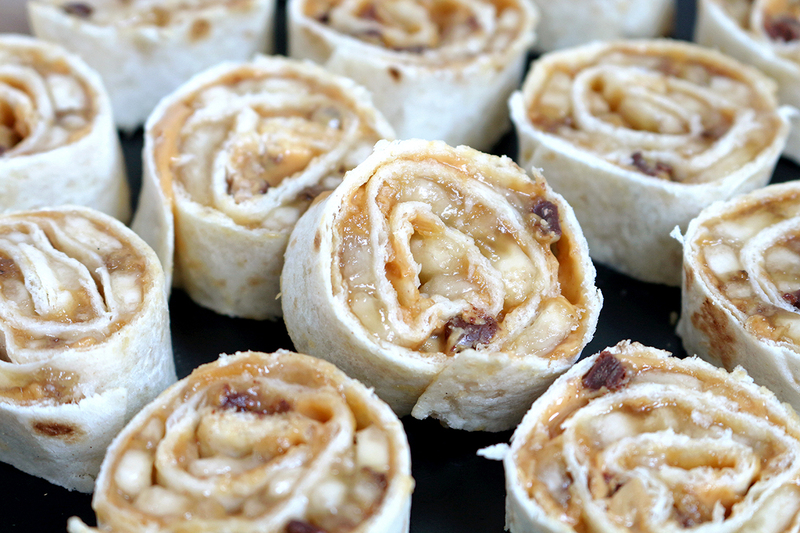 How to Make Chocolate Chip Peanut Buttet Banana Roll Up? Spread 2.5 tablespoons of peanut butter evenly on tortilla. Put one sliced banana over it. Sprinkle with ½ tablespoons of chocolate chips and ½ tablespoons of chopped pecans. 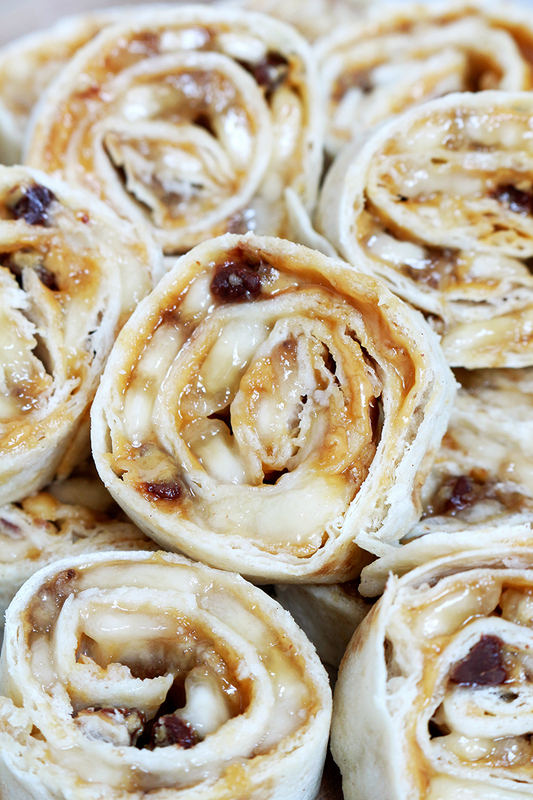 Drizzle with ½ teaspoon of honey and roll up tight. Repeat with the second tortilla. Wrap them up in a plastic foil, separately and leave in the fridge for 15 minutes. Take them out, slice and serve. 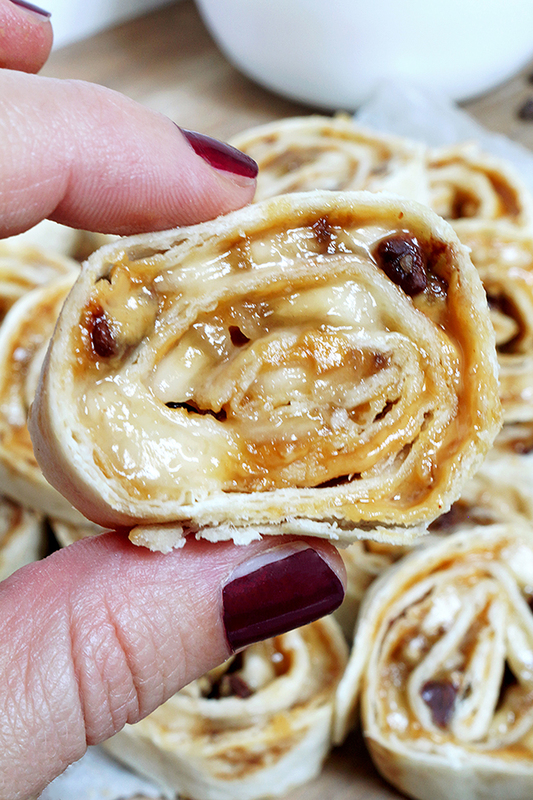 Chocolate Chip Peanut Butter Banana Roll Ups are tasty nutritious bites you will love. They make a quick snack for all those who love good food. My family and I love and often prepare them. This kid friendly recipe is so easy to prepare, that kids can easily make them by themselves. It is a great snack when kids are home alone. It gives them energy, vitamins and minerals until the next meal. If you prefer healthy food, check out the healthy food recipes on my blog – Chocolate Almond Granola Bars, Easy Vegan Peanut Butter Energy Bites, No Bake Chocolate Hazelnut Cookies and No Bake Chocolate Energy Balls. This looks delish. Do the bananas turn brown? Yes they turn brown. One way to avoid that is to brush the banana slices in lemon juice but you will get different taste in that case.